Very Good. 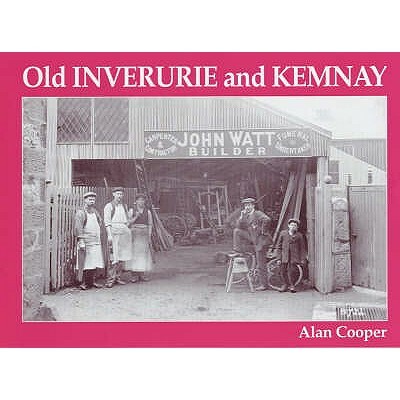 Old Inverurie and Kemnay by Cooper, Alan, 2003-10-10. 48 p. 52 black & white photographs. New. 2003. 1St Edition. Paperback......We ship daily from our Bookshop. New. 48 p. 52 black & white photographs. New. 48 p. 52 black & white photographs. In Stock. 100% Money Back Guarantee. Brand New, Perfect Condition, allow 4-14 business days for standard shipping. To Alaska, Hawaii, U.S. protectorate, P.O. box, and APO/FPO addresses allow 4-28 business days for Standard shipping. No expedited shipping. All orders placed with expedited shipping will be cancelled. Over 3, 000, 000 happy customers. Fine. 48 p. 52 black & white photographs. In Stock. 100% Money Back Guarantee. Brand New, Perfect Condition, allow 4-14 business days for standard shipping. To Alaska, Hawaii, U.S. protectorate, P.O. box, and APO/FPO addresses allow 4-28 business days for Standard shipping. No expedited shipping. All orders placed with expedited shipping will be cancelled. Over 3, 000, 000 happy customers.